Melbourne's Myer Christmas Windows. - Adventures from where you want to be. Each year we journey into Melbourne to Bourke Street to see Melbourne’s Myer Christmas Windows. Telling a different story each year, they are an Australian Christmas tradition, that sees over 1 million visitors each year, running since 1956 when the Myer’s merchandiser Fred Asmussen created a lovely window celebrating Santa and the Olympics. In celebration of the 1956 Olympics. Perfect to go visit, but not so great to photograph as the light of the sun reflects off the glass as you try to take photos. Meaning they are best visited in person. This year the story is “The Completely and utterly Perfect Christmas” by H C Floren. It is the story of an Elf, and his journey to find the perfect Christmas. The book was made for the Myer windows and is available for purchase from inside Myer, as well as a stuffed toy elf. Great marketing from Myer. The book is lovely teaching children to appreciate what they have even if it is not perfect. 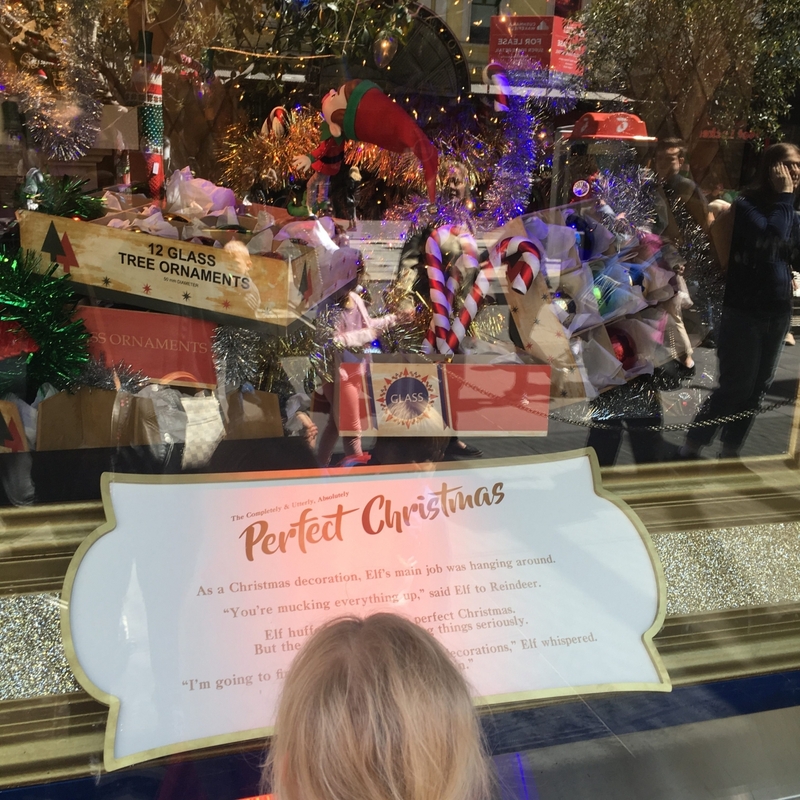 There is normally a line to see the Windows but it is well worth lining up, the crowds move through quickly, as the windows are well spaced out and have a small amount of writing allowing reasonably quick movement from one window to the other. 7.30am to 1 am daily. Melbourne really comes alive at Christmas with so many more amazing things to see and do. Federation square has an amazing 16 metre high Christmas tree, that lights up from 9 pm each evening. Also in Federation Square is the enchanting six-metre high bauble that glitters during the day and twinkles at night. Whilst you are in the city make sure you head over to Crown Casino to see the Atrium’s great music and light show. Also over at Crown is the fantastic Christmas ArtVo exhibition an interactive 3D art installation. Make the most of Melbourne’s free tram zone. This runs within the borders of Spring Street, Flinders Street and La Trobe Street. Also, the tram routes that run along Victoria Street, William Street and Elizabeth Street surrounding Victoria Market are included as well as the Docklands area. What are some of your Family traditions each year? Do you head into Melbourne? Tell us below in the comments? Pingback: Crown Casino - Christmas ArtVo Exhibition - Adventures from where you want to be.